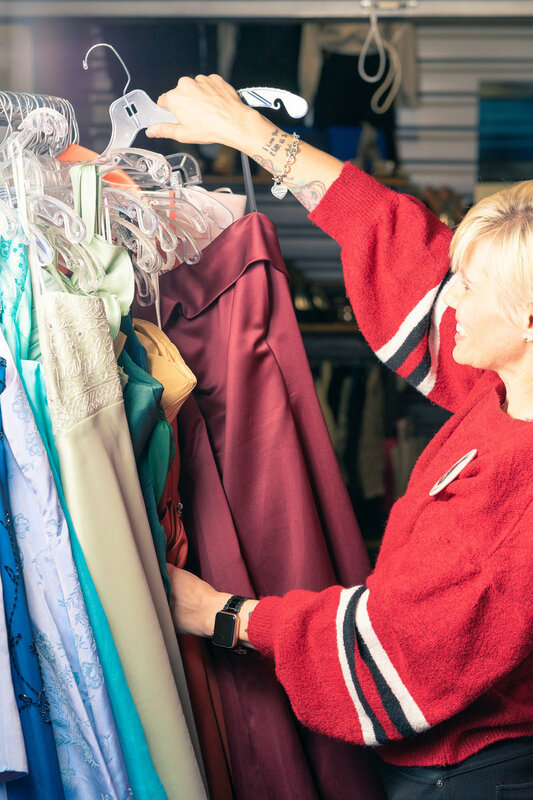 • Parker Secret Closet accepts donations of gently used or new special-occasion dresses less than five years old, as well as dress shoes, handbags, jewelry, accessories, and graduation caps and gowns. 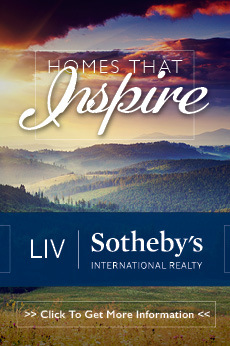 They also accept monetary donations and volunteer hours to keep the store running. 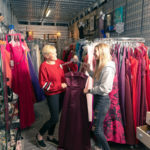 • The owners of a tuxedo rental shop in Highlands Ranch retired last year and donated their entire inventory to Parker Secret Closet, which now offers tuxes to teens for a $30 refundable deposit. 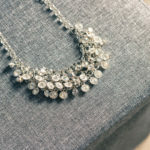 • There is no need to prove financial hardship to receive a dress. 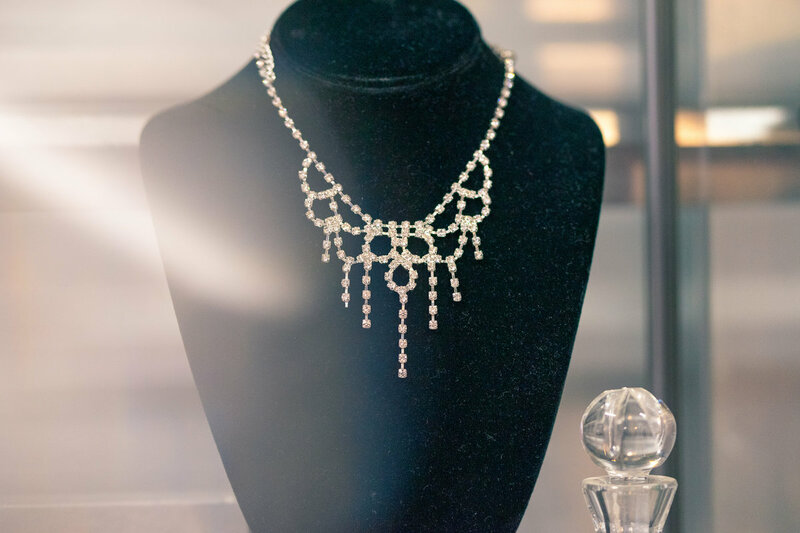 The nonprofit only asks that you give something in return, such as a $15 donation, volunteer hours or a formalwear donation. 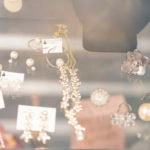 Kiva Frey rearranges a display case at her boutique midmorning when her landlord wheels in two racks packed with a couple dozen dresses, ranging from full-length ballgowns to knee-length party dresses. “These were dropped off just yesterday afternoon,” says the manager of BlueMountain Self Storage and Wine Lockers in Parker. 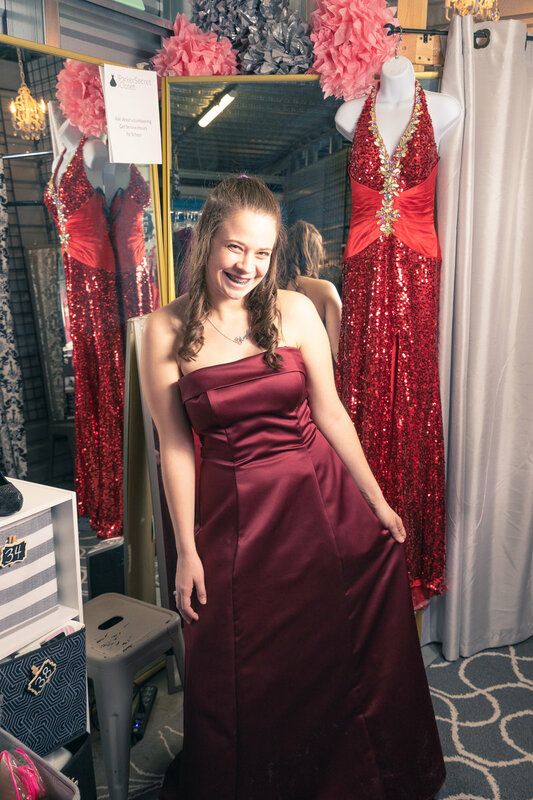 Kiva says BlueMountain and the stacks of dresses show the overwhelming support her nonprofit formalwear shop, Parker Secret Closet, has received over the past year. 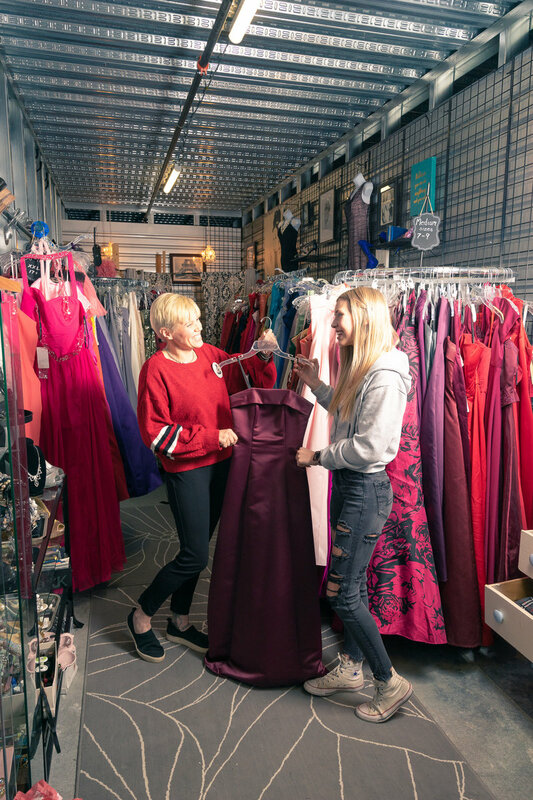 The boutique offers free formalwear to teens, mostly in exchange for volunteer hours or at-will donations, and operates out of three storage units. BlueMountain Self Storage donated the space to Parker Secret Closet when the owner heard about its mission and need for a public location. 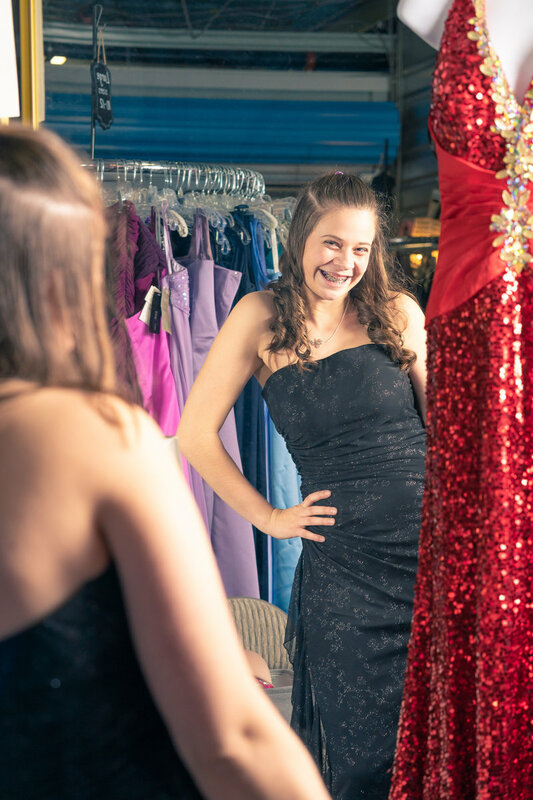 Parker Secret Closet started as an idea a couple of years ago from a friend of Kiva’s, who heard that her daughter’s friend was foregoing prom because she couldn’t afford a dress and accessories. 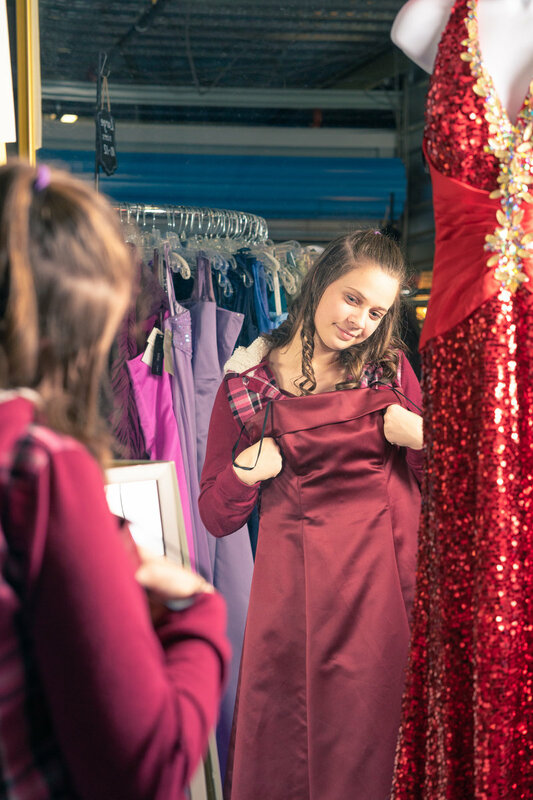 She asked for help on social media, hoping a neighbor would drop off a new, once-used prom dress for her daughter’s friend. 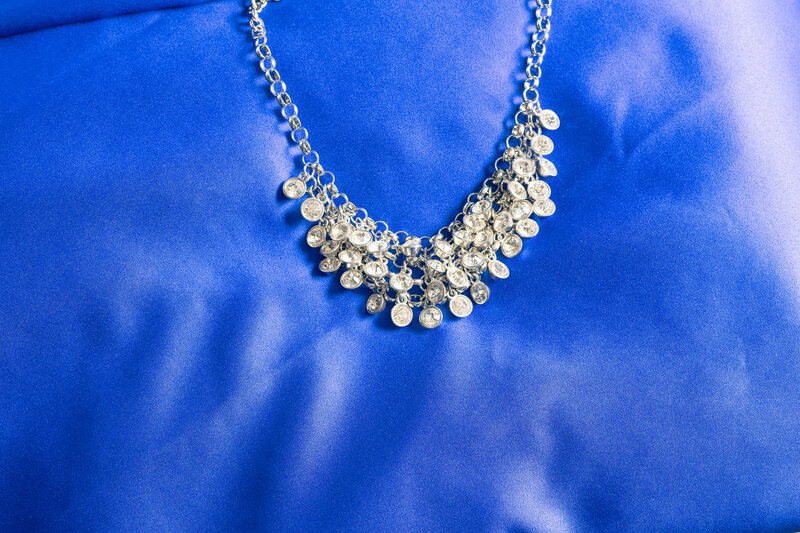 Word spread, and hundreds of dresses started showing up at her house, mostly from strangers. 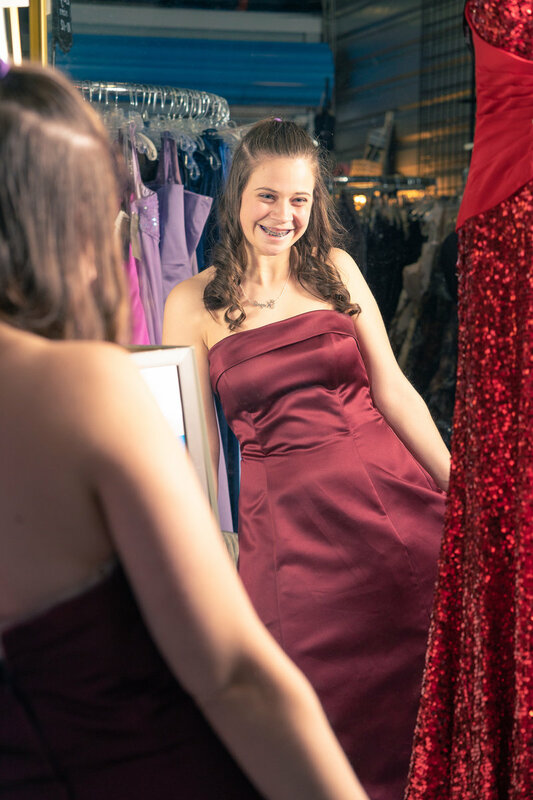 Kiva offered to take over the donations and offer appointments to the hundreds of girls, who, all by word of mouth, were eager to find a gently used prom or homecoming dress. 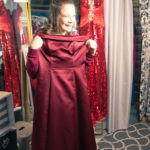 Jenn Sells of Highlands Ranch first heard about Parker Secret Closet earlier this year and immediately knew she wanted to start spreading the word on her social media. 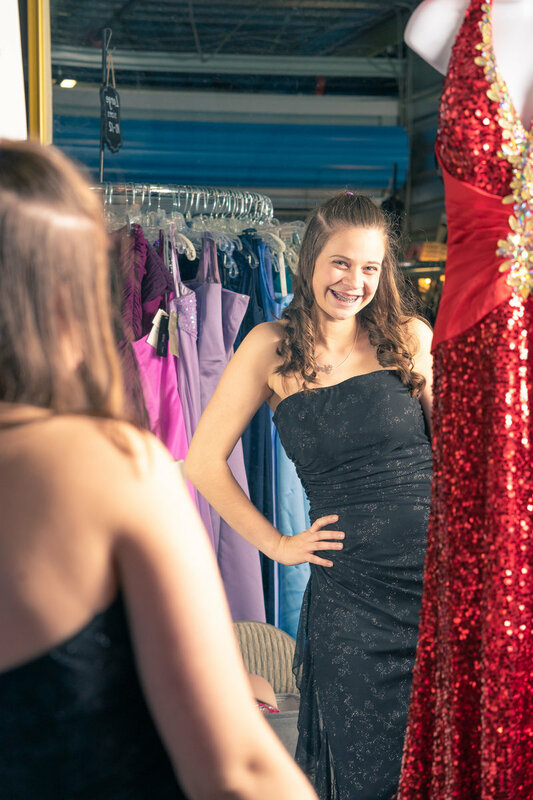 Kiva emphasizes that Parker Secret Closet isn’t just for low-income teens. It’s for all teens who are saving money for college or to buy their first car. 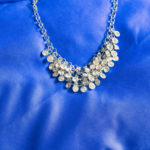 It’s for families who don’t qualify as low-income but have had a bad month because Dad just lost his job or Mom got hurt, but senior prom is two weeks away. 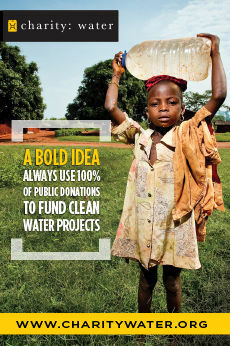 And, Kiva says, it’s about saving the clothing from the landfill. Real estate agent Susan Muenzner of Parker also first heart about Parker Secret Closet a few months ago through her social media networks. 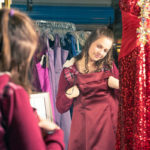 She immediately fell in love with the idea, after seeing what a big deal—and a big expense —prom had been for her niece. Elizabeth resident Tabitha is shopping at the boutique with her niece, who heard about Parker Secret Closet from friends who had gotten dresses here. 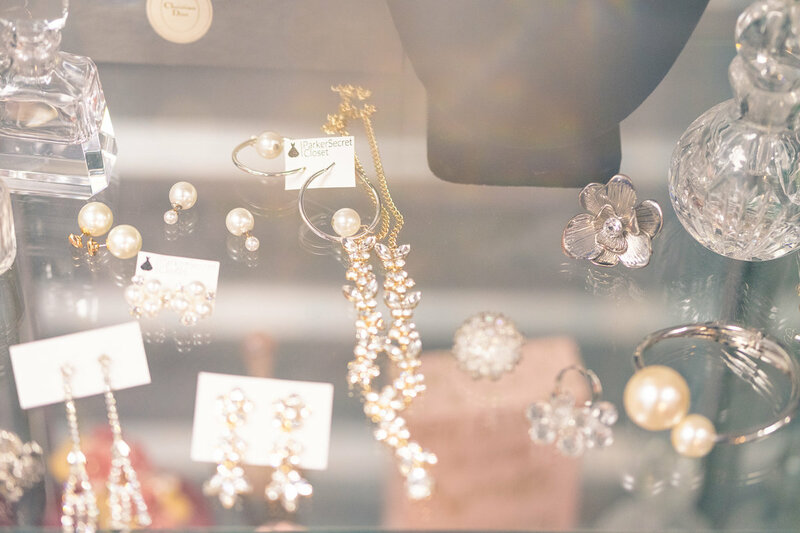 “We’re trying to be respectful, but we’re also trying to be budget-friendly,” Tabitha says, about why she was excited to find the boutique. Kiva says Parker Secret Closet has grown because it just makes sense. 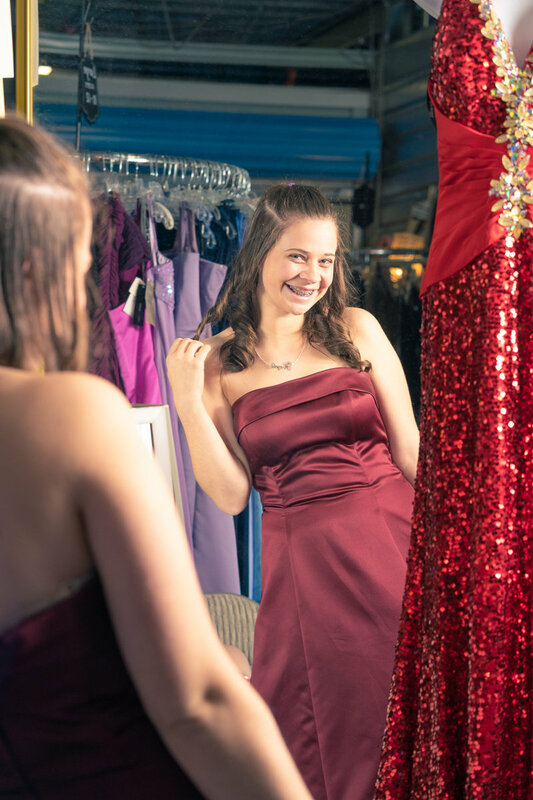 Instead of spending hundreds of dollars on attire for a high school dance, teens could use that money for college savings, AP classes or gas. 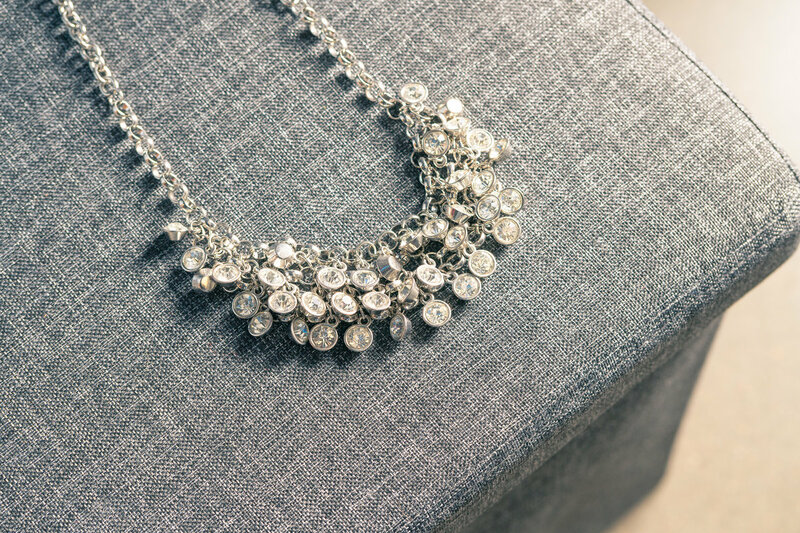 And it’s also about eliminating waste, Kiva says, and recycling beautiful dresses that are often worn only once and stashed away in a closet. 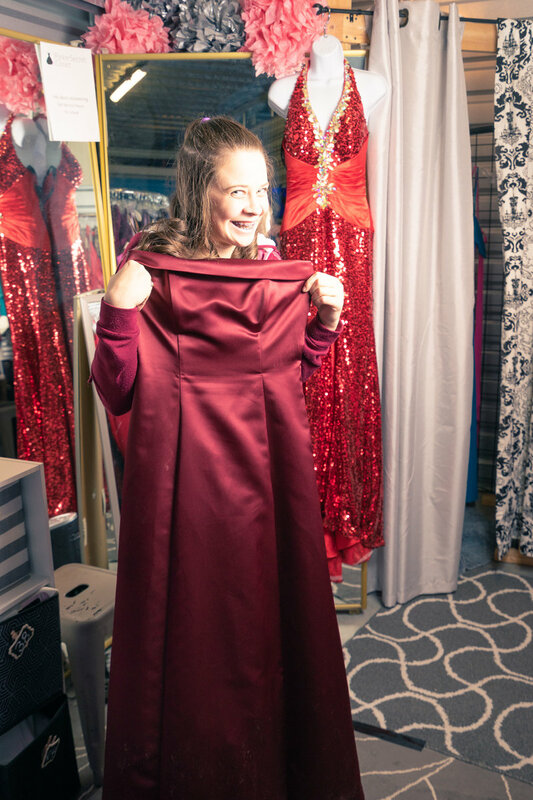 A woman brought in 10 brand-new gowns, all with the tags still on, that she had originally bought for her daughter to choose from for prom. She donated them to Parker Secret Closet because she said it was easier than returning the dresses to the store. “That’s what these girls are competing with,” Kiva says. 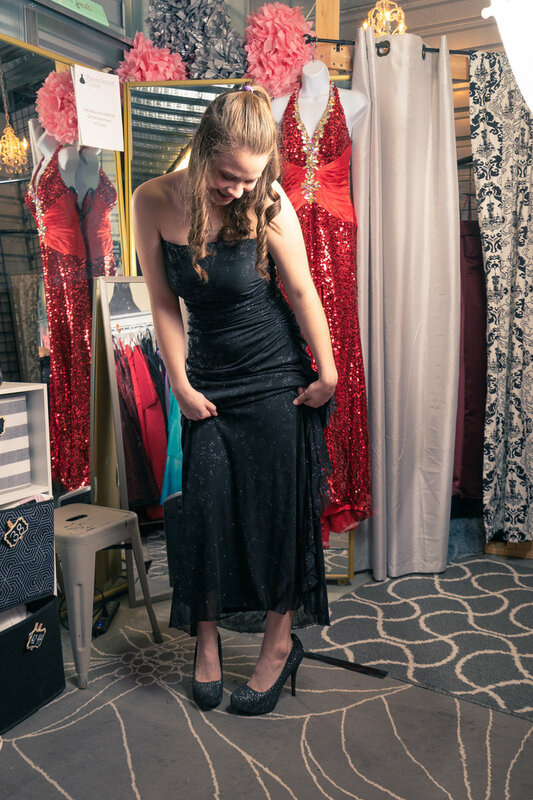 Kiva says Parker Secret Closet is about making everyone feel included, important and involved in their community by being able to attend formal functions. The boutique routinely hosts groups from Miss Amazing Pageants and A Night to Shine. “It just keeps coming in, so I’m blessed to keep giving it out,” Kiva says.